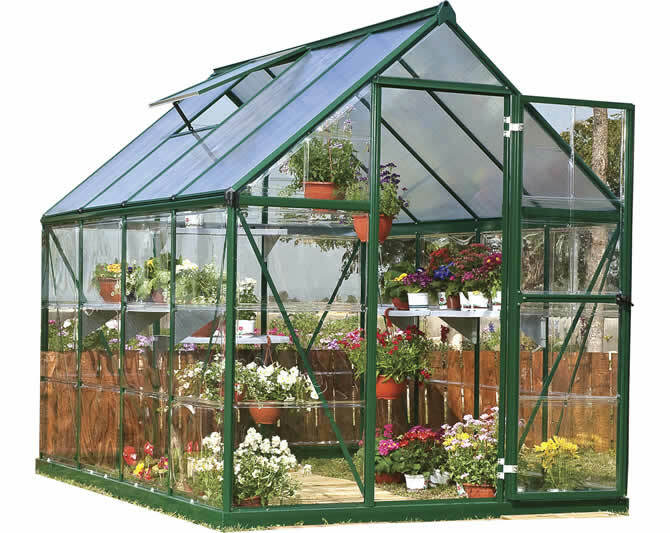 The Mythos 6x4 Greenhouse kit in green gives you extra room for all of your growing needs. 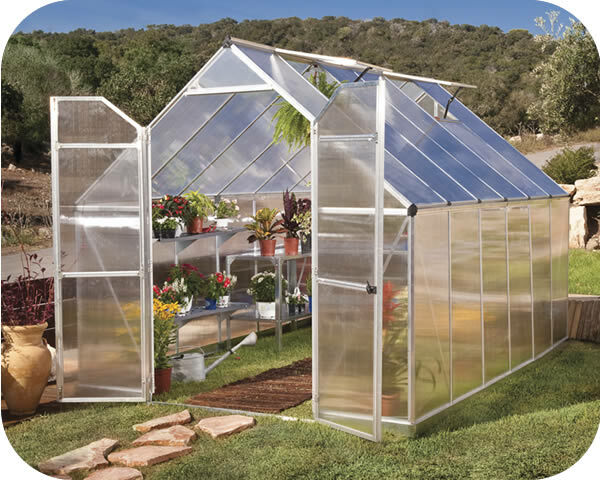 Twin-wall polycarbonate panels and a rainwater downspout. 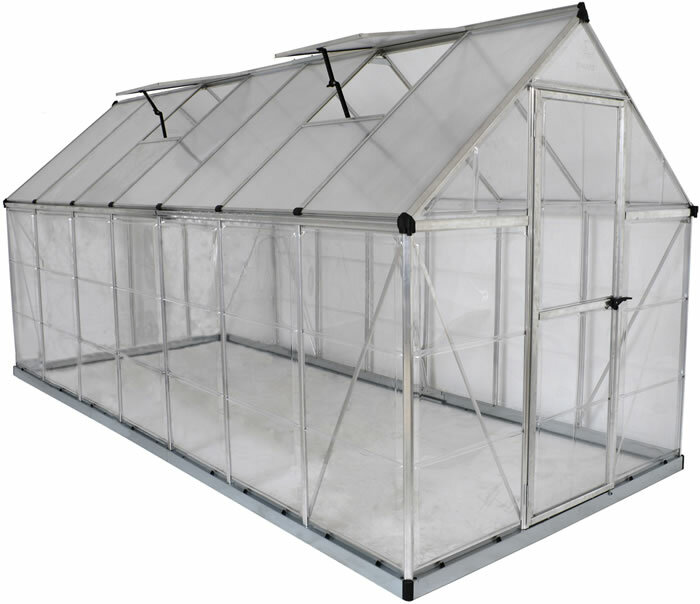 The Palram Nature Hybrid Series greenhouse is the ingenious enthusiast greenhouse offering polycarbonate panels and a strong durable frame. 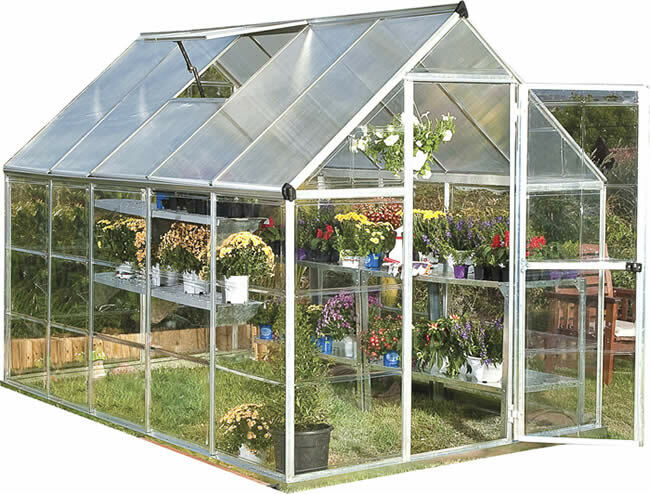 The Palram 6x6 Mythos greenhouse kit is perfect for hobby gardeners. 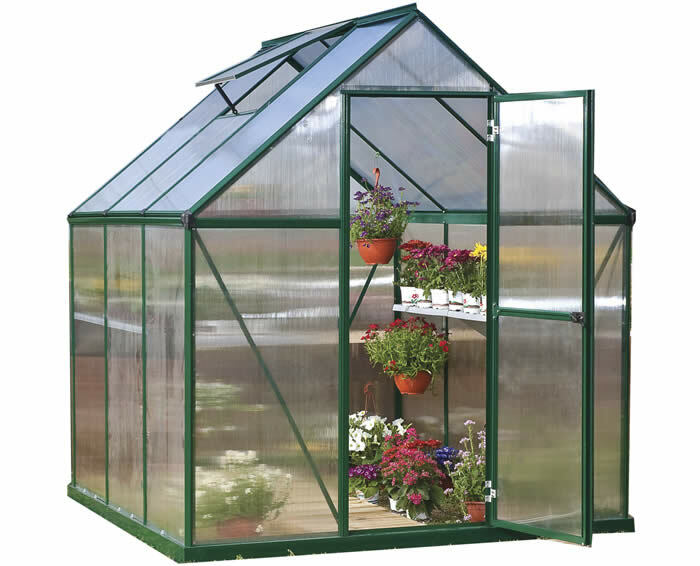 Equipped with twin-wall polycarbonate panels and a durable frame. 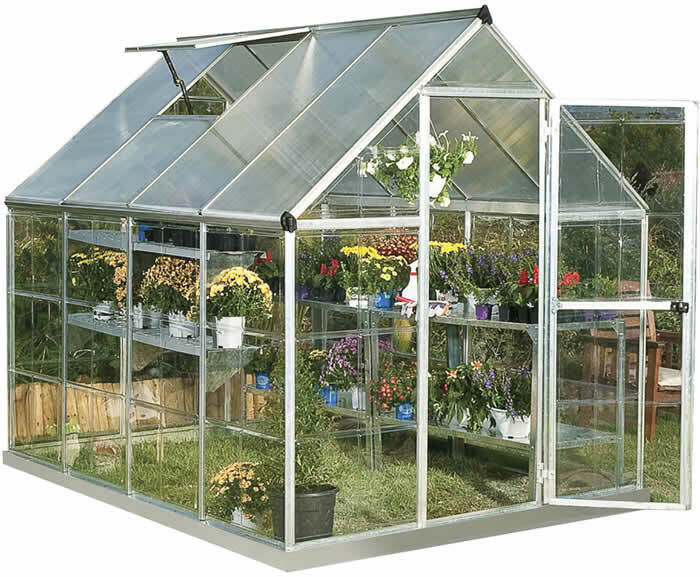 The Palram 6x8 Nature Hybrid greenhouse brings gardeners the best of both worlds, two advanced polycarbonates and a durable 6 ft aluminum frame. 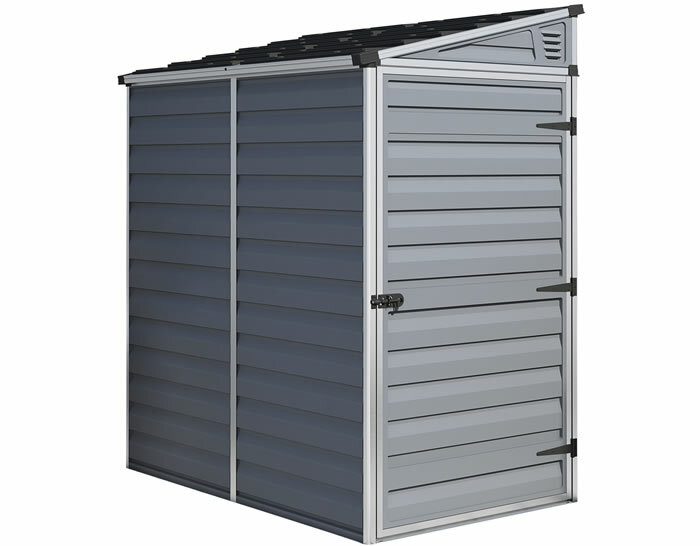 The Palram 6x3 Skylight shed in gray color provides light inside using a skylight roof. 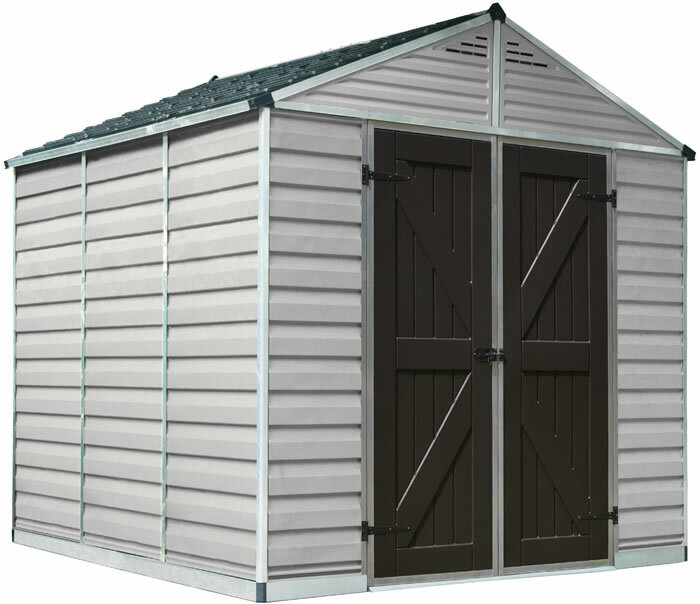 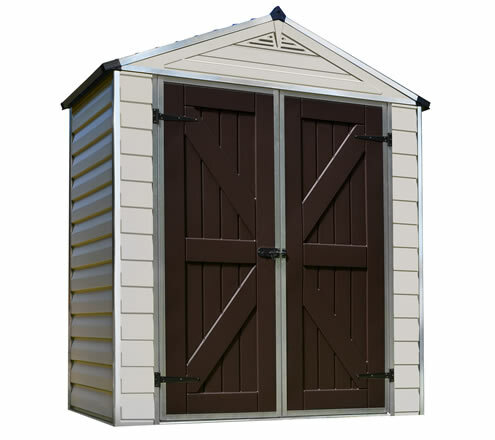 The shed also includes and anti-slip floor, vents and pad lockable doors. 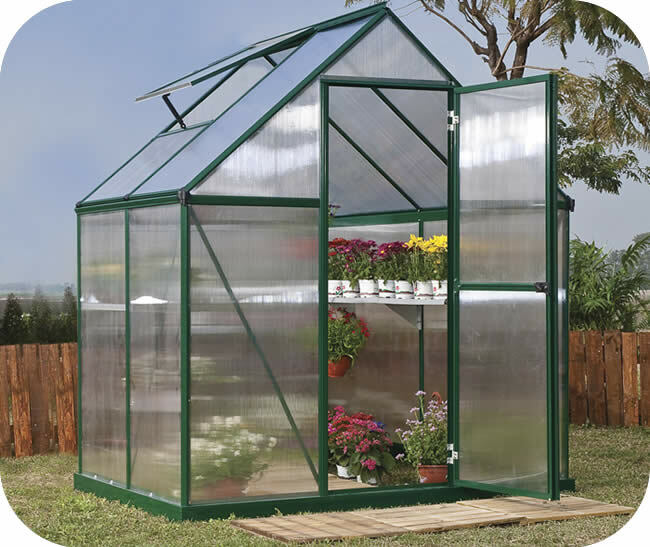 The Mythos 6x6 Greenhouse kit in green gives you extra room for all of your growing needs. 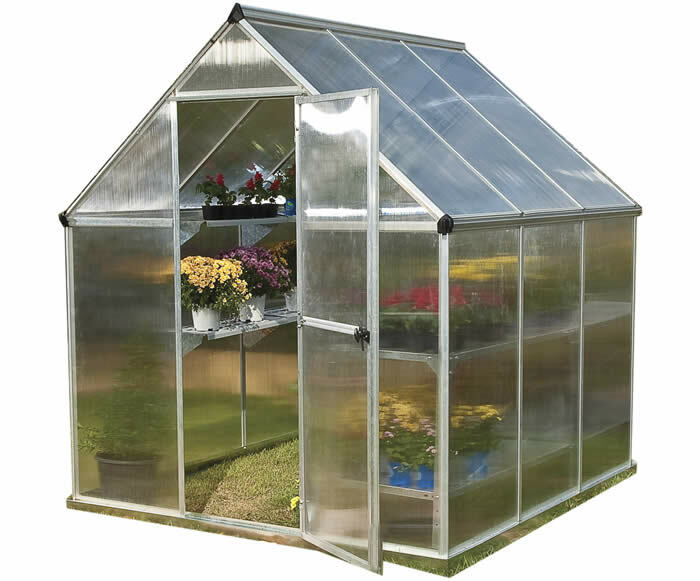 Twin-wall polycarbonate panels and a rainwater downspout. 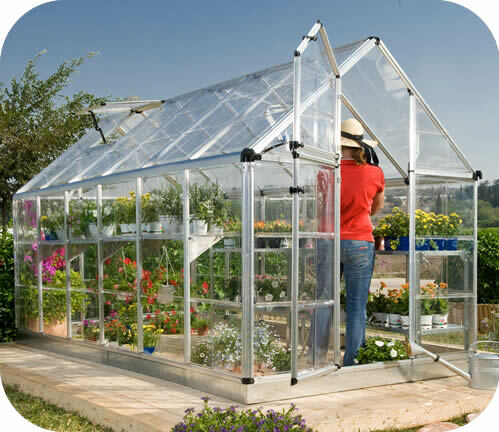 The Palram 6x6 Nature Hybrid greenhouse brings gardeners the best of both worlds; two advanced polycarbonates and a durable 6 ft aluminum frame. 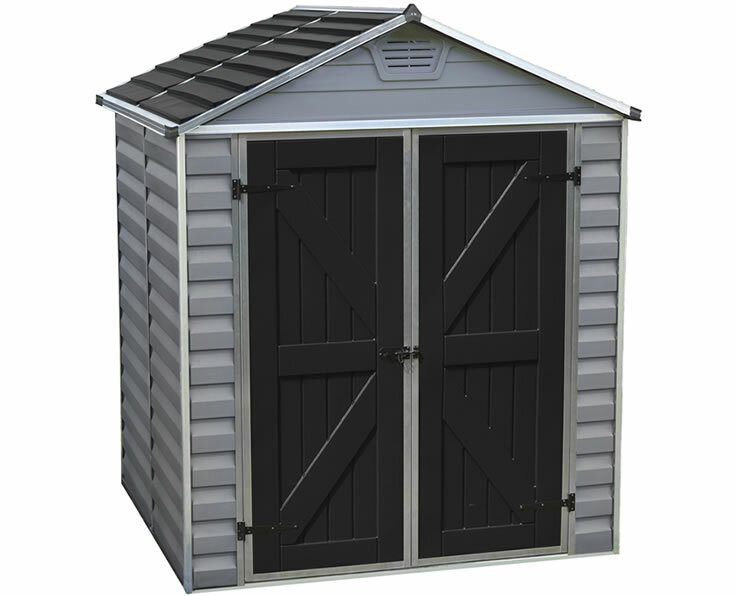 The Palram 6x5 Skylight shed in gray color provides light inside using a skylight roof. 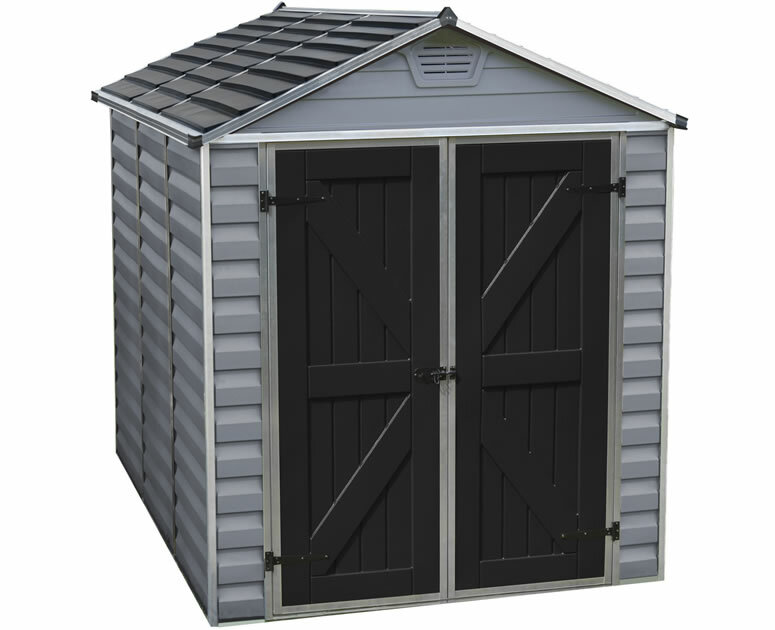 The shed also includes and anti-slip floor, vents and pad lockable doors. 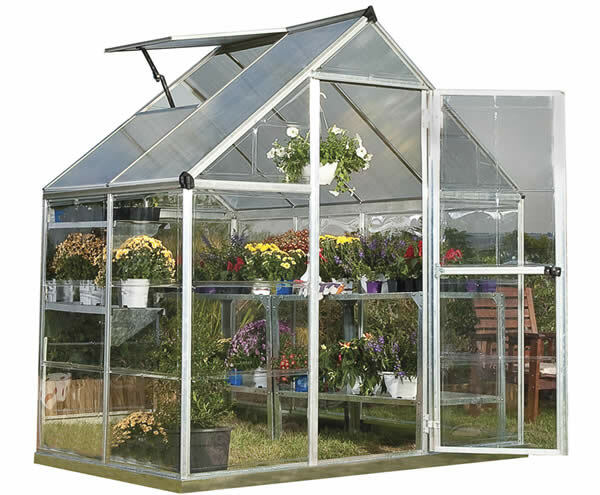 The Palram 6x8 Hybrid greenhouse offers the precise balance of two advanced polycarbonate panels along with a strong durable frame. 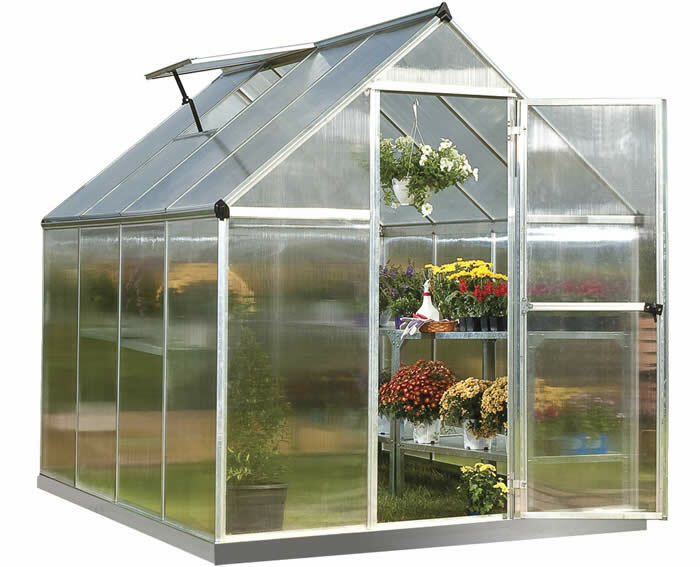 The Palram 6x10 Nature Hybrid greenhouse brings gardeners the best of both worlds; two advanced polycarbonates and a durable 6 ft aluminum frame. 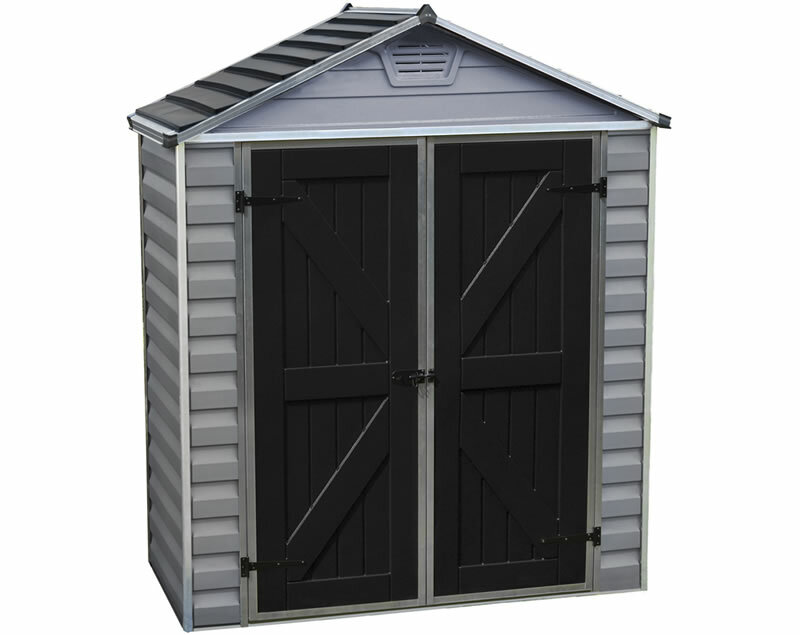 The Palram 6x8 Skylight shed in gray color provides light inside using a skylight roof. 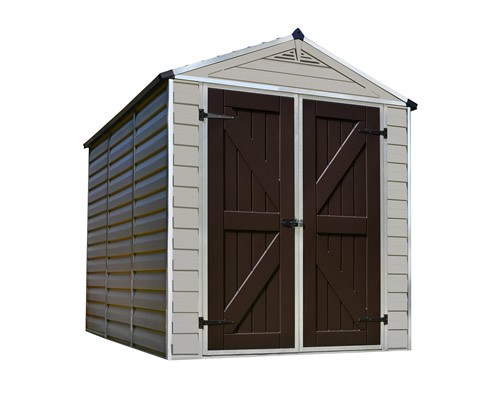 The shed also includes and anti-slip floor, vents and pad lockable doors. 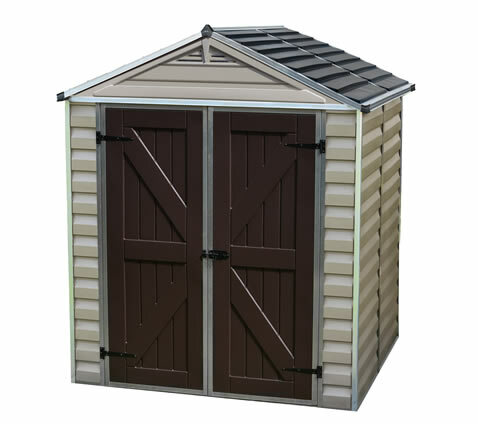 Palram 6x10 Skylight shed in gray color provides light inside using a skylight roof. 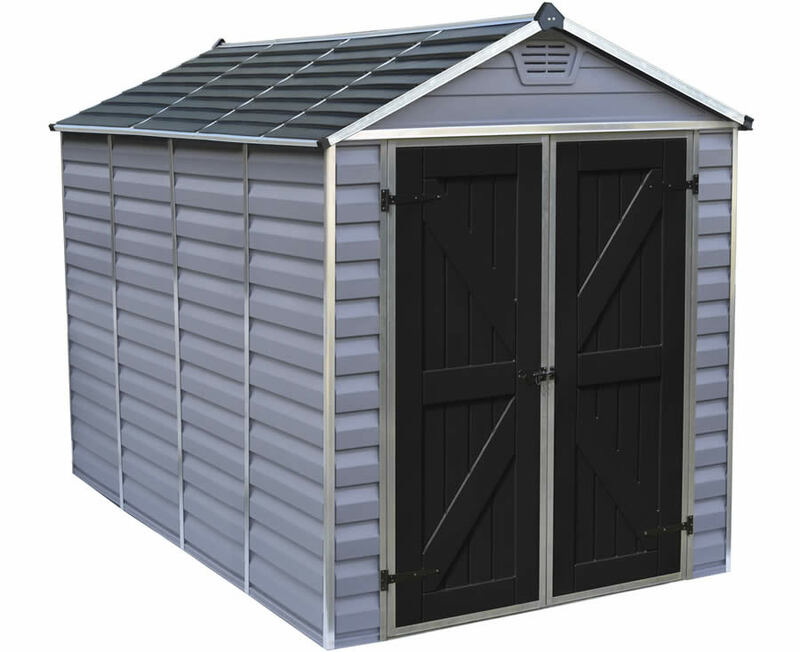 The shed also includes and anti-slip floor, vents and pad lockable doors. 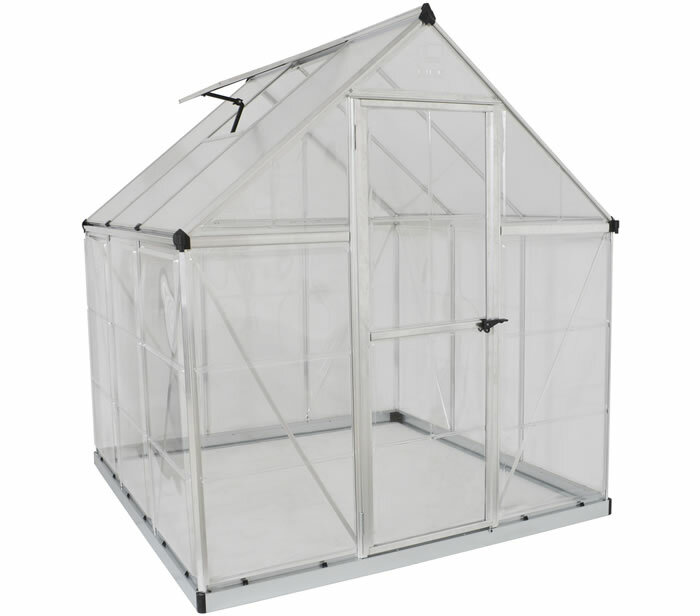 The Palram 6x14 Nature Hybrid greenhouse brings gardeners the best of both worlds; two advanced polycarbonates and a durable 6 ft aluminum frame. 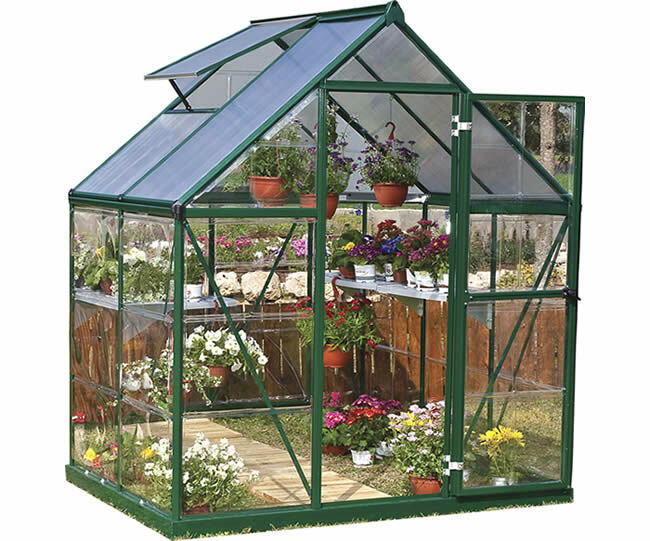 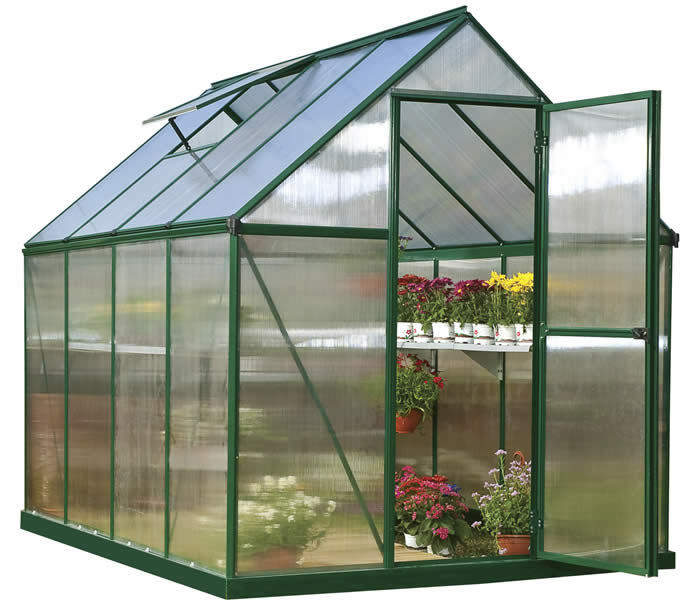 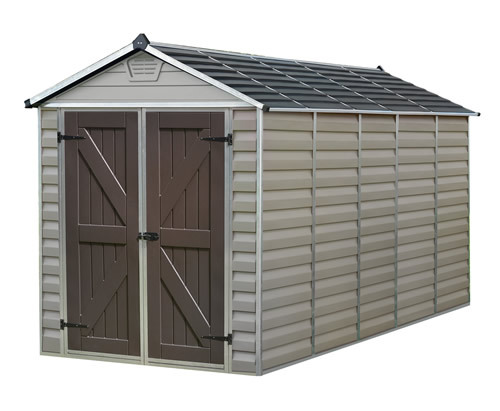 The Snap & Grow 6x12 Silver Hobby Greenhouse model HG6012 features the SmartLock connector system and heavy duty aluminum frame. 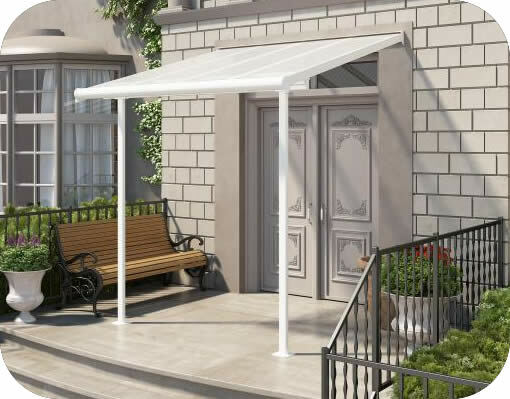 Create a semi-enclosed area with even more privacy and protection from the elements with the 10' Feria Patio Cover Sidewall Kit. 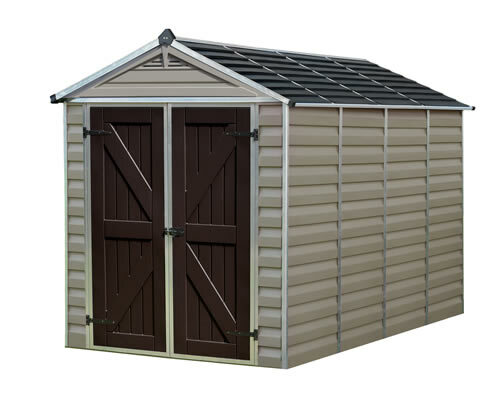 Includes one side. 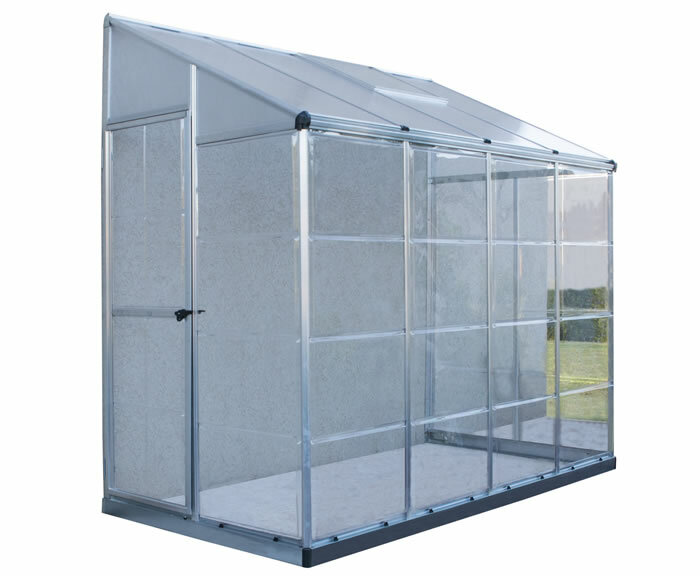 The Palram 8x12 Essence aluminum greenhouse offers 96 square feet of growing space and is loaded with features like vents and gutters! 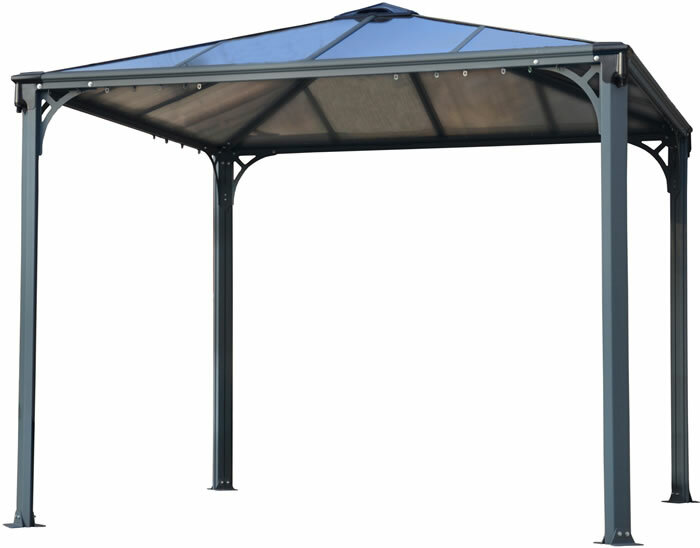 The Palermo gazebo gives you that outdoor gathering space that you've always wanted. 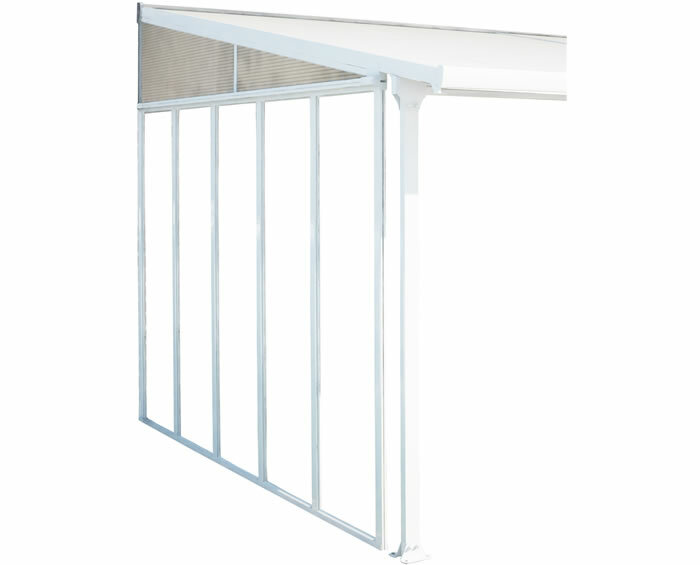 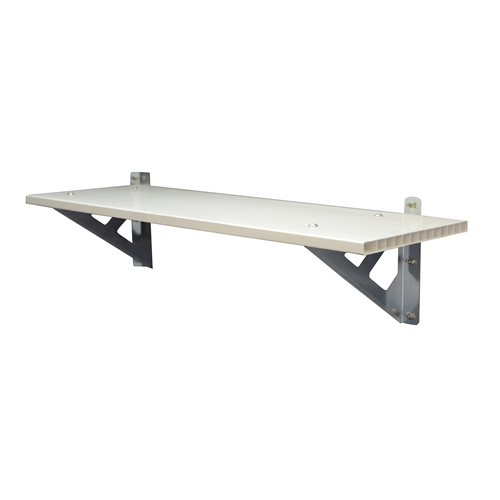 Aluminum frame, integrated gutters and a 10 year warranty! 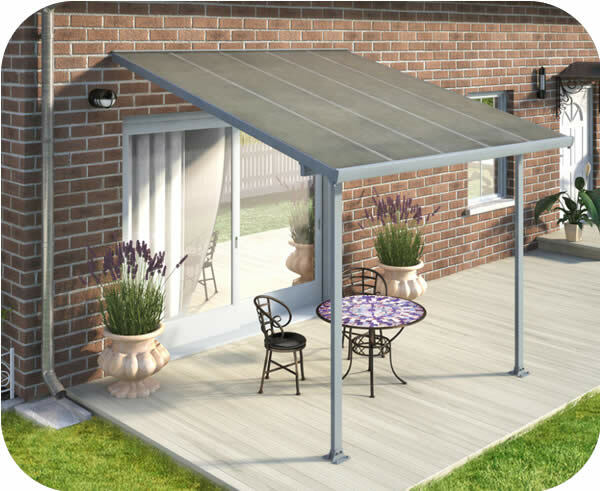 Protect yourself and your patio from the elements with the new 10x10 Feria patio cover HG9410. 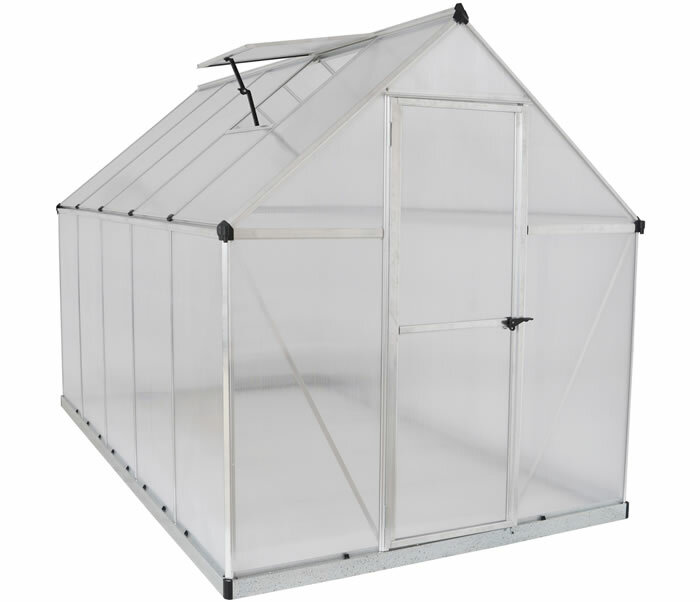 Clear UV protected, polycarbonate roof panels.